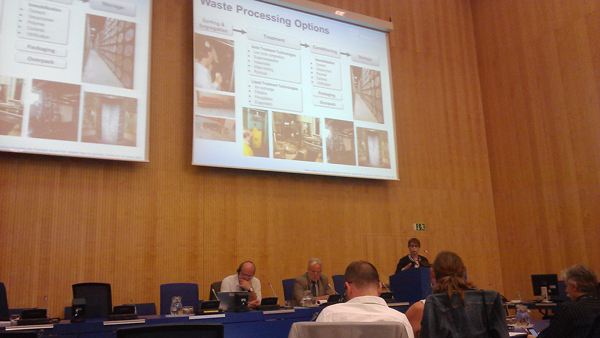 The International workshop «Treatment processes for the sustainable management of radioactive waste including innovative techniques» organized by the ETSON WM&D Working Group in collaboration with IAEA took place in the IAEA premises in Vienna within the period from the 4th to 6th of July 2016. About 20 representatives of CEA (France), KIT (Germany), IAEA and ETSON members participated in the workshop. The workshop objective was to summarize, present and analyze the information for different radioactive waste types from the various radioactive waste generating industries and activities. Aspects which could benefit from future collaboration such as joint research, harmonization of safety demonstration approaches or review and development of safety standards were identified. These outcomes will be taken back to the ETSON WM&D WG for further consideration and will also be presented and discussed at the forthcoming IAEA Conference on the safety of radioactive waste management scheduled which will take place in November 2016 in Vienna. Alexey Plevaka, SEC NRS, plevaka@secnrs.ru.